"Red is often a color representing violence, war, aggression, or passion; this is probably because red is the color of human blood." This is an illustration in development for a series on Islamic women. 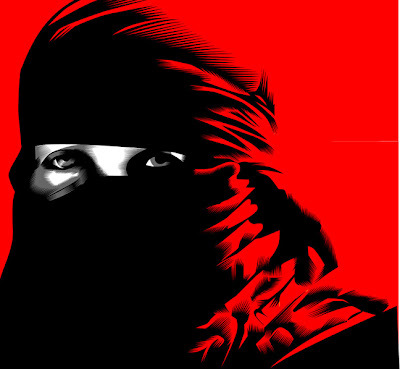 Red helps us to focus on the individual inshrouded in her burka, a device to keep her private and isolated from the broad community. Somehow with red representing violence, war, aggression or passion for these women, is the world many traverse everyday.